RV camping is the best of both worlds. Traveling the country with an RV allows you to enjoy the camping experience without losing the coziness of home. Who knew camping could be so comfortable? There are thousands of RV parks across the nation, each with a different experience to offer. We’ve gathered up a list of our ten top picks. Savage River Campground is located in Denali National Park. The park actually has three RV accessible campsites, and while none have electric or water hookups, the view alone makes this one in particular worth the stop. Savage River sits in a spruce forest a few hundred feet below the tree line. Though the trees are fairly thick, there are spots near the river where they are thinner, giving an unobstructed view of the landscape. On clear days, Denali is visible against the horizon, a view that few other campsites offer. Fernwood Resort is a rustic campground tucked into the redwood forests of Big Sur. The resort offers electric and water hookups for RVs along with an espresso cafe, general store, restaurant, and tavern. Fernwood sits on the border of Pfeiffer Big Sur State Park, offering easy access to hikes through the redwoods. The resort is also a short drive from the beach. 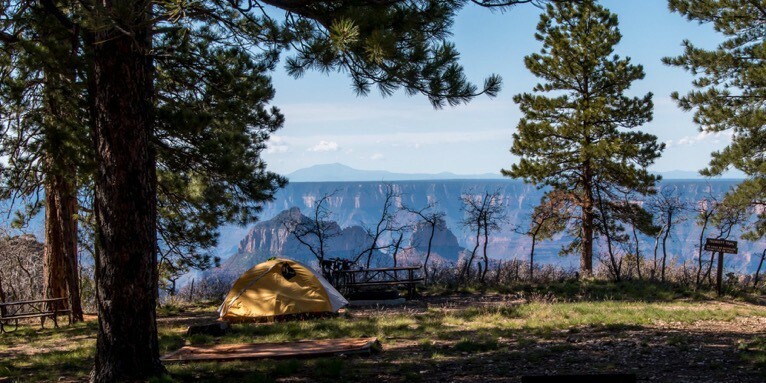 There are no hookups at North Rim Campground, but the chance to park your RV and feast your eyes on the spectacular views offered by Grand Canyon National Park can’t be beaten. The site is located beneath the gentle shading of Ponderosa pines and aspen trees. Nearby sits Transept Canyon, a side branch of the Grand Canyon. From the best spots in the campground, you will be able to watch the sunrise through the canyon out your window. 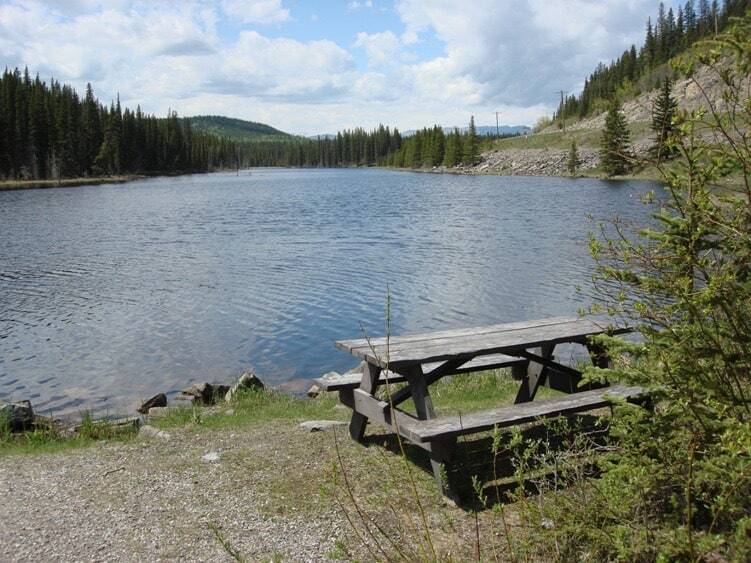 Each campsite has a picnic table and campfire ring. A dump station is available for RVs. Deep in the heart of the Rocky Mountains, Tiger Run Resort is the perfect RV site for skiers. Tiger Run offers full hookups for RVs and is located near world-class ski areas, Breckenridge Ski Area, Copper Mountain, and Keystone. The resort also has a clubhouse filled with amenities including a pool and hot tub, game room, and fitness center. 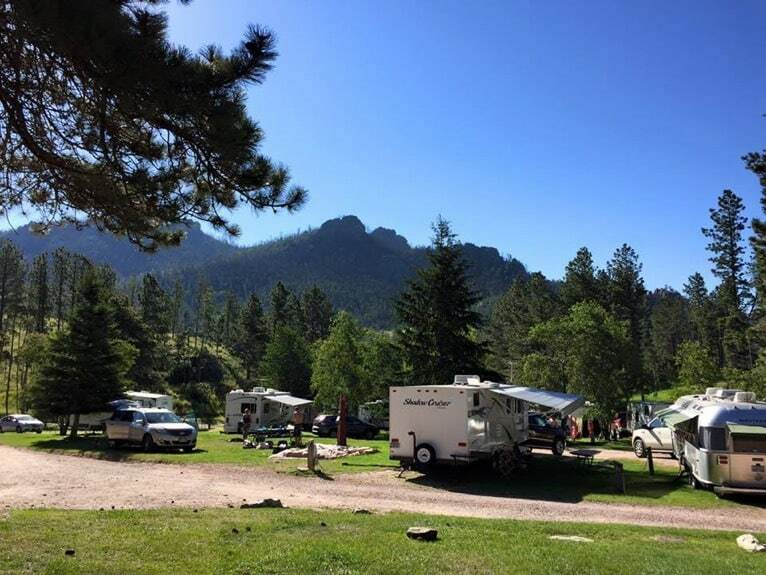 Located in South Dakota’s Black Hills, Horse Thief Campground and RV Resort sits on forested, rolling hills. The resort includes amenities like a basketball court and horseshoe pit, bathhouses, a general store, and a heated swimming pool. According to the Horse Thief website, “You can still feel the ‘Old West’ as you sit by your campfire and look out in the vast sky and search for stars and constellations.” Horse Thief is twelve miles from Mount Rushmore and is also near Crazy Horse Monument and Jewel Cave, the second longest cave in the world. 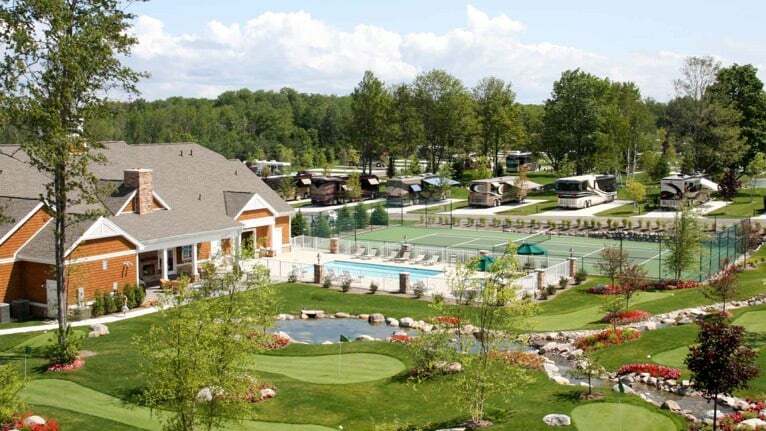 Petoskey RV Resort is a luxury RV resort seated inside a 33-acre gated community. The resort grounds are immaculate and feel more like a prestigious club than a campground. Petoskey includes a 9-hole course, billiards room, a fitness center, home theater, and tennis courts. 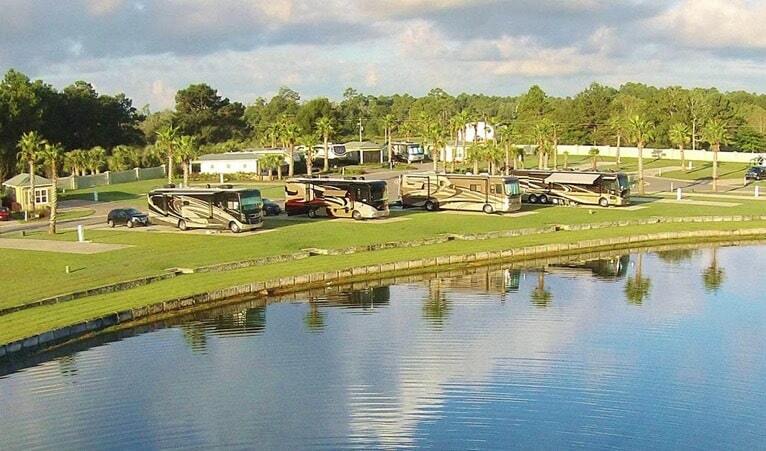 Lake Osprey RV Resort is another luxury resort and is located on Alabama’s Gulf Coast. Along with the usual amenities of a luxury resort and Country Club vibe, Lake Osprey also boasts nearby beaches of pristine white, beautiful spring-fed lakes, and a nature preserve. The resort is near Soldiers Creek Golf Course, making it the perfect stop for golf enthusiasts. This RV park is a great stop for history lovers. 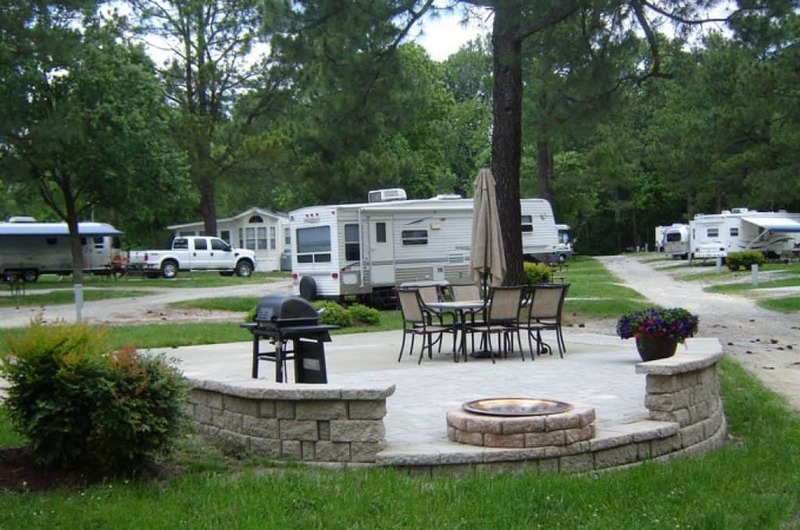 Located in Williamsburg, Virginia, American Heritage RV Park offers full hookups and is located on 70-acres of meadows and woodlands. “Step from your RV right into history as you walk the paths and streets like George Washington, share a pint of ale in King’s Arms Tavern, dine exquisitely for lunch or dinner and visit magnificently restored homes and buildings,” according to the American Heritage website. The park frequently hosts live Reenactments of historical events and has Revolutionary Era games for the kids. Beaver Dam Campground was named by the National Association of RV Parks and Campgrounds as the 2015 Small Park of the Year. It has also been mentioned in Country Magazine and on TripAdvisor. According to their website, what really makes Beaver Dam Campground stand out is their attention to detail and commitment to providing a clean, comfortable environment for their campers. The campground sits on the edge of a 20-acre spring fed pond. RV sites have full hookups. Paddleboard, kayak, and canoe rentals are available for use on the pond. The pond is also open for swimming and fishing. 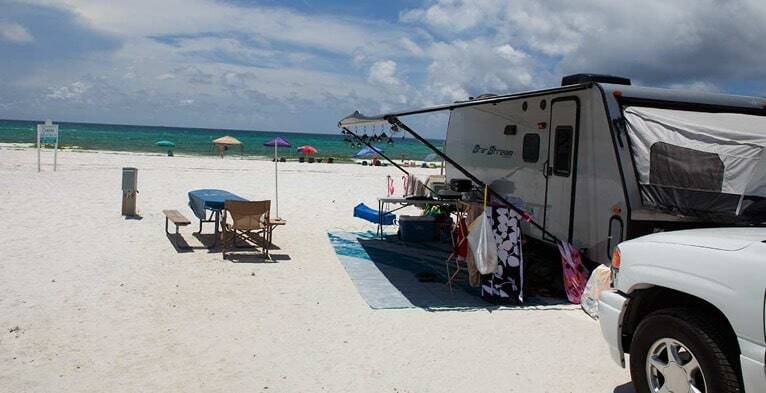 At Camp Gulf, you can park your RV directly on the beach and watch the waves out your window. Aside from being on the beach, Camp Gulf offers a lot of activities — including craft projects, ice cream socials, and animal visits — that make it unique. The camp even has a water slide and Wibit Water Jungle Gym. From Atlantic to Pacific, this country offers many beautiful sites to park your RV. Whether you are more into luxury vacations or want something a bit more rugged, there is sure to be an RV park that is perfect for you. Although their rates are on high note, you will for sure get a lot for your money. Have you visited any of these RV parks or campgrounds while camping in your RV? Are there any other spots you love?